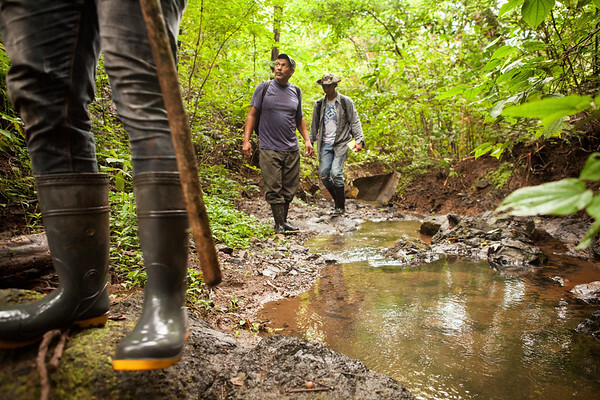 In October of 2017 I traveled to the Azuero Peninsula of Panama on an assignment to cover the Azuero Earth Project, a Panamanian non-profit seeking to research the critically endangered Azuero Spider Monkey and to work with local farmers to rehabilitate destroyed rainforest. 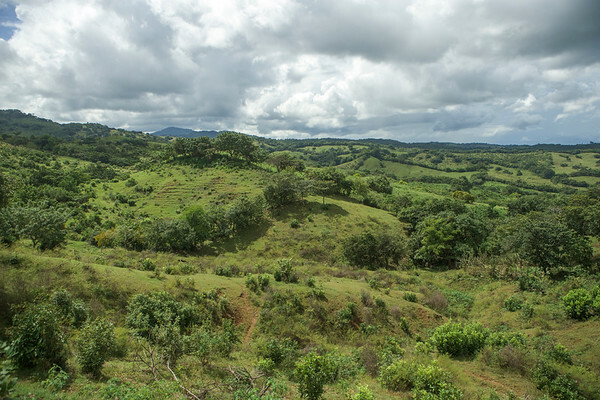 Because of farming and cattle grazing, the vast majority of primary forest in the Azuero region has been completely destroyed. 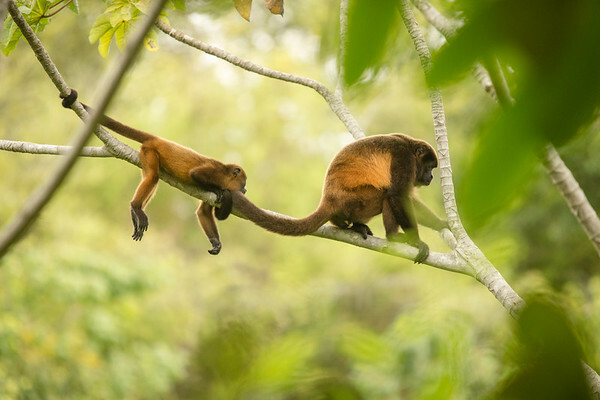 As a result, the Azuero Spider Monkey is fighting for habitat and rapidly declining -- current estimates predict the entire population is just over 100. 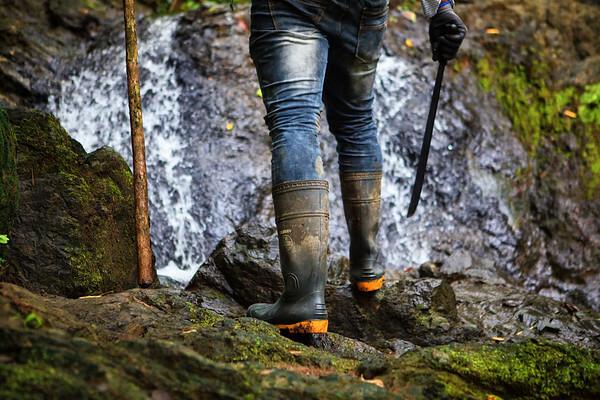 The Azuero Earth Project is researching the behavior and diet of the Spider Monkey in hopes of working with farmers to replant crucial food plants and help reestablish the population. 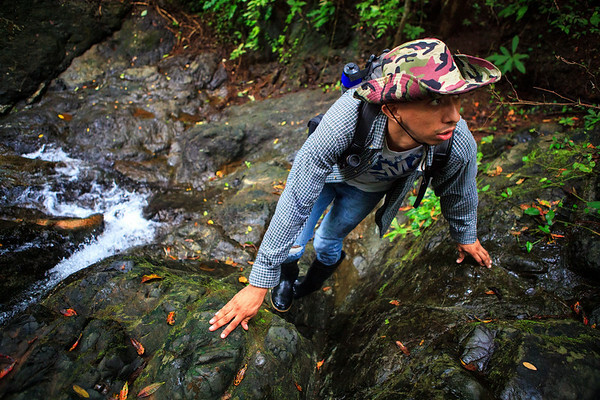 During my time in Panama I spent days in the field with the monkey research team climbing waterfalls and hiking up steep rivers in search of monkey populations. 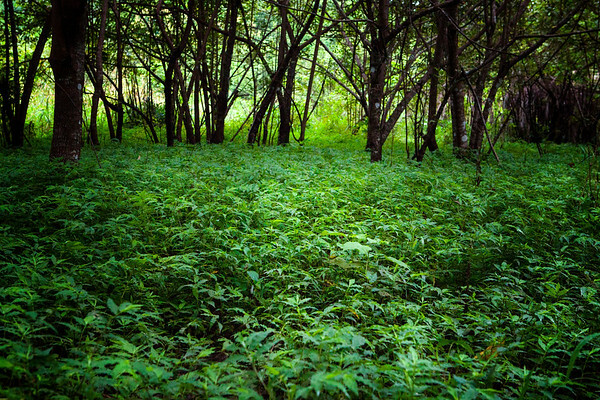 Because of the cattle grazing, the surviving monkey populations stick to steep and demanding environments where the cows cannot reach. 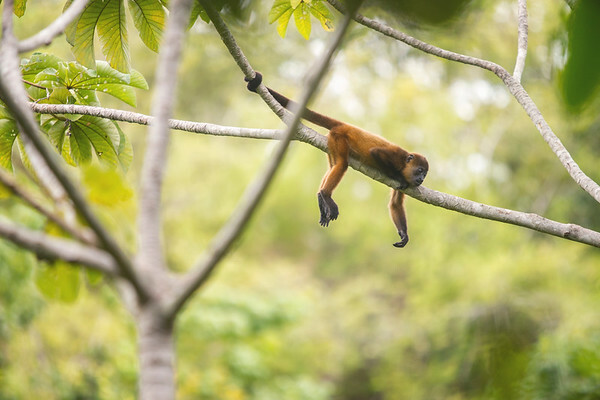 A baby howler monkey sleeps on a treebranch. He was just learning from his mother how to leap from tree to tree. He would scream and cry before each leap and needed a nap after all of the scary excitement. 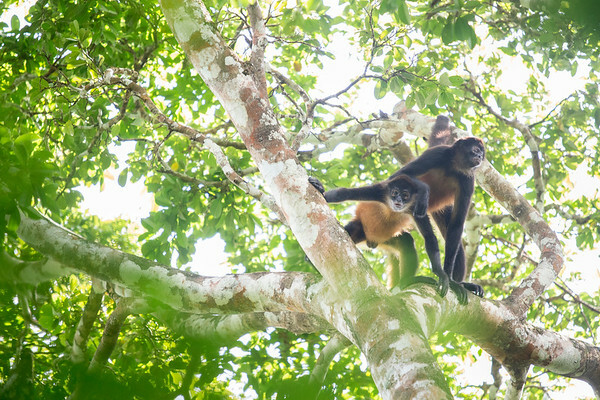 Two critically endangered Azuero Spider Monkeys watch the research team from high in the canopy. 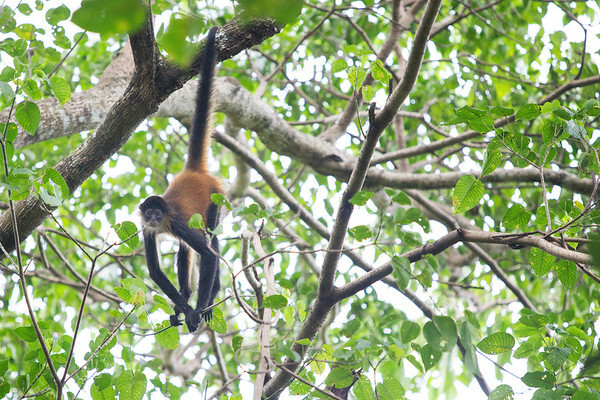 A critically endangered Azuero Spider Monkey observes the research team. 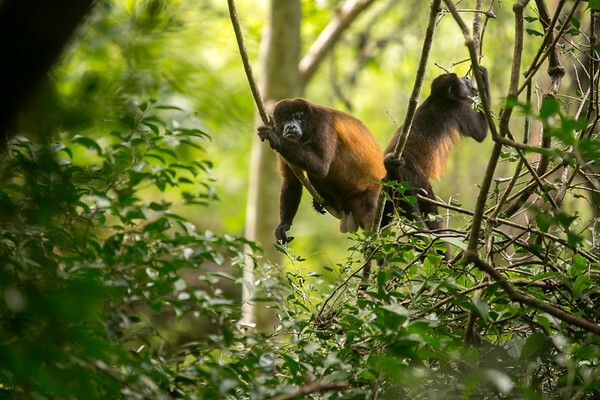 A male and female howler monkey observe the research team. 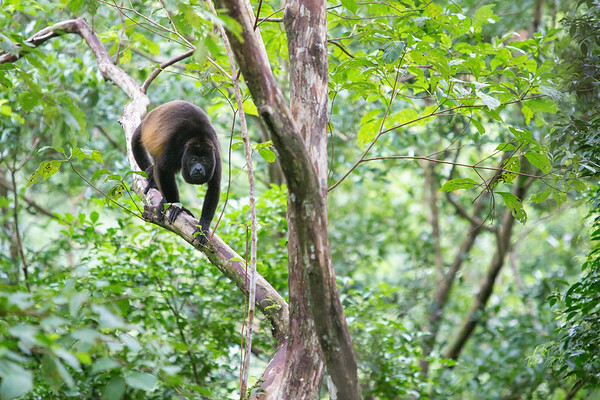 A Black Howler Monkey climbs across the canopy. 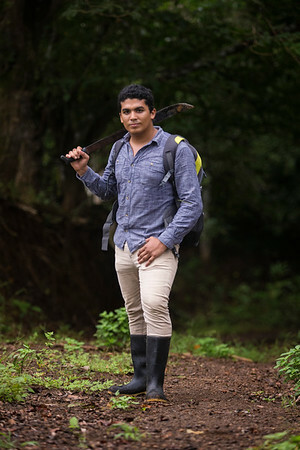 University of Panama microbiologist Cristobal Perez waits with his machete for slower members of the research team (like me) to catch up. 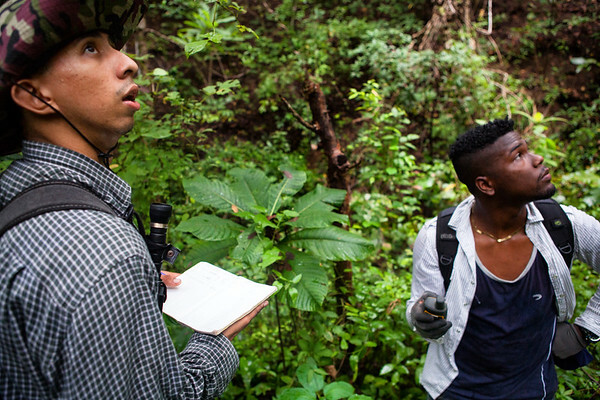 Research students Miguel Montenegro (left) and Dunnot Pulo (right) look into the canopy as a group of Azuero Spider Monkeys moved toward the team. 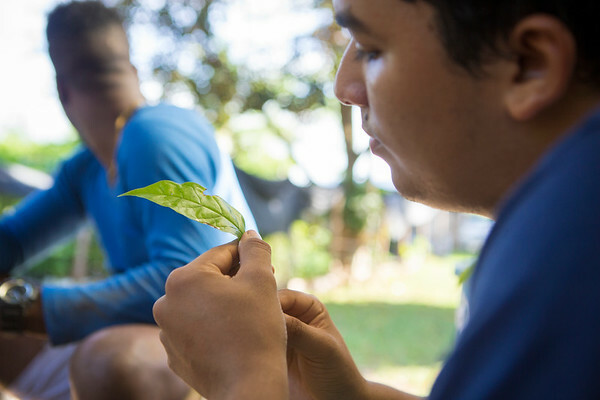 Microbiologist Cristobal Perez examines a tree sapling that was grown in the reforestation garden at the Azuero Earth Project headquarters in Pedasi, Panama. 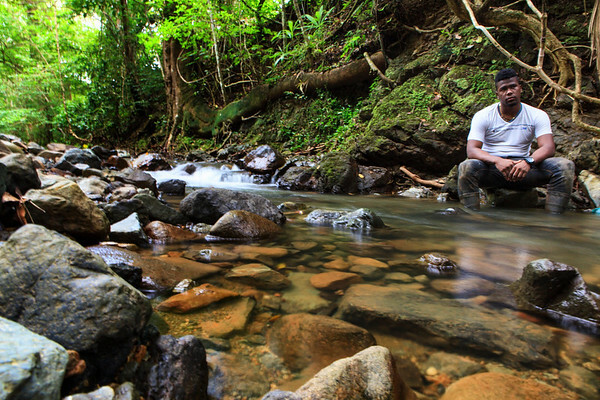 After a long day of hiking, researcher Dunnot Pulo cools his feet in a river.